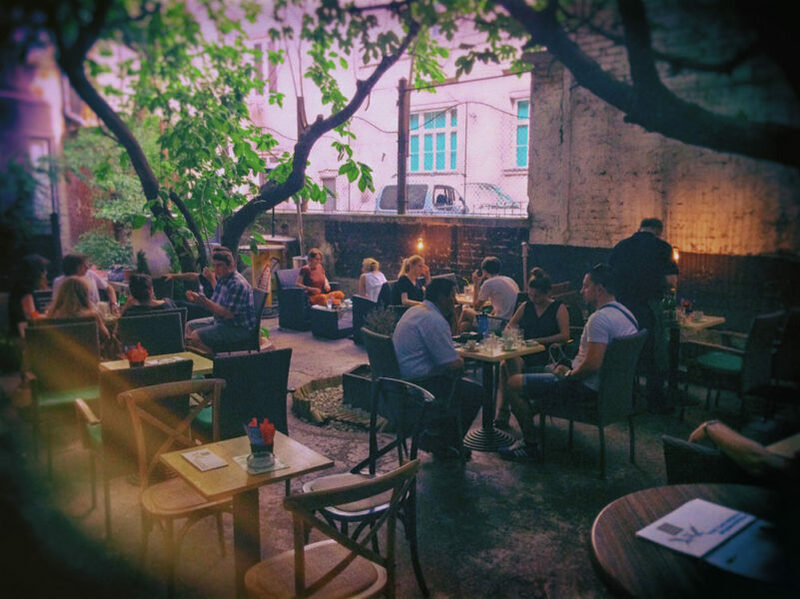 Fancy restaurants don’t impress you? Fast food is not your kind of meal? 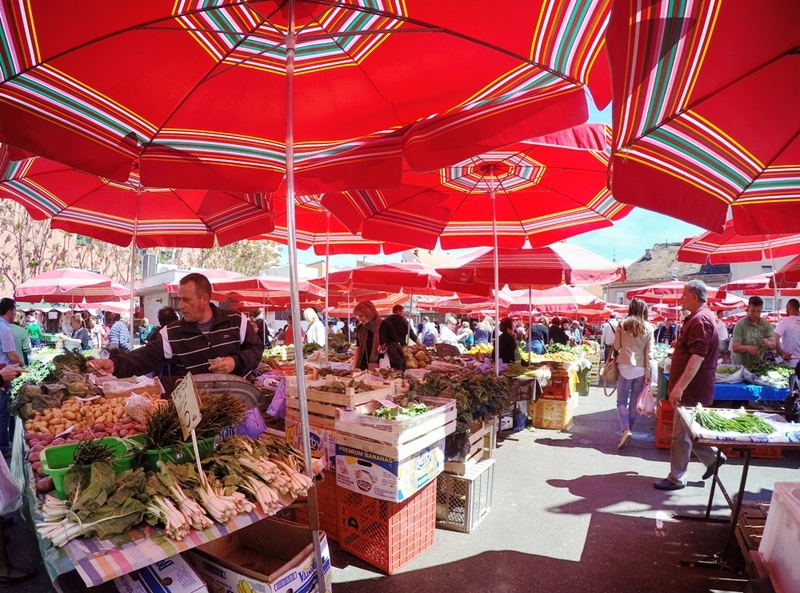 Check the Dolac market then, biggest Croatian farmers’ marketplace, located in a center of Zagreb, only a few dozen meters away from the main city square. 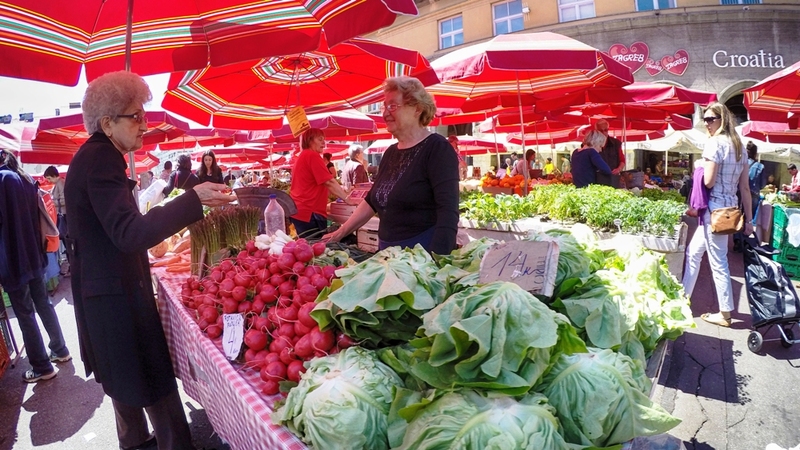 It is the most visited and the best known farmer’s market in Zagreb, offering groceries from all Croatian regions: from Mediterranean to continental food. 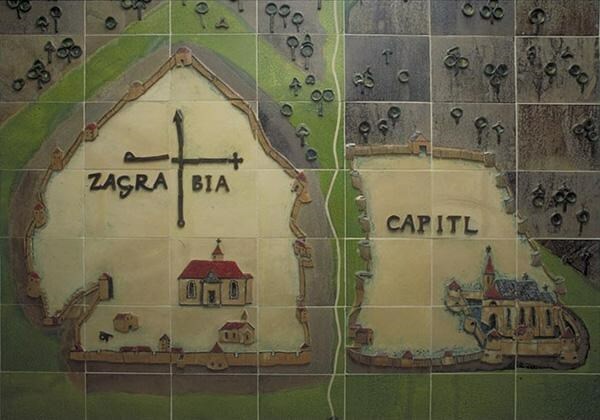 This is why this market is called „Zagreb Belly“. 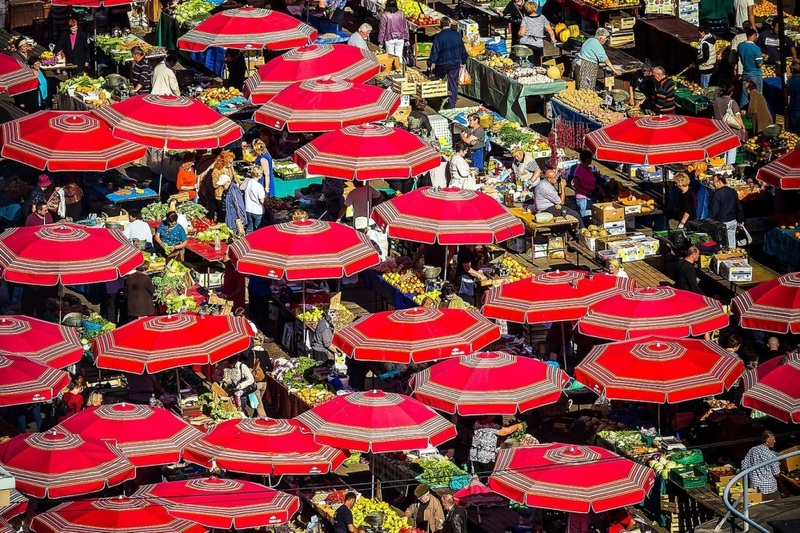 Don’t forget to bring a camera because Dolac market is very picturesque scene, thanks to traditional red parasols with recognizable pattern you’ll see on many souvenirs as well. Also, ladies that sells groceries (called „kumica“) are brand themselves so don’t hesitate to ask some of them to say „cheese“ into your camera. 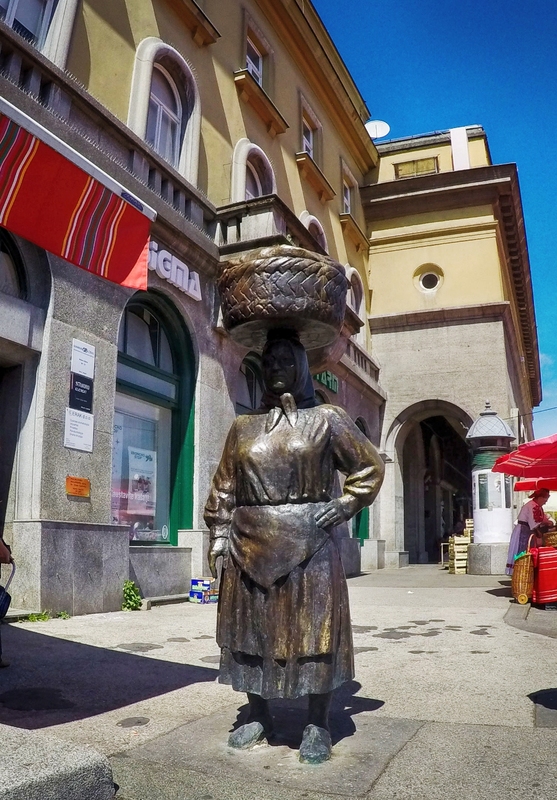 On the market you will find a statue of Kumica Barica that represents these traditional saleswomen. 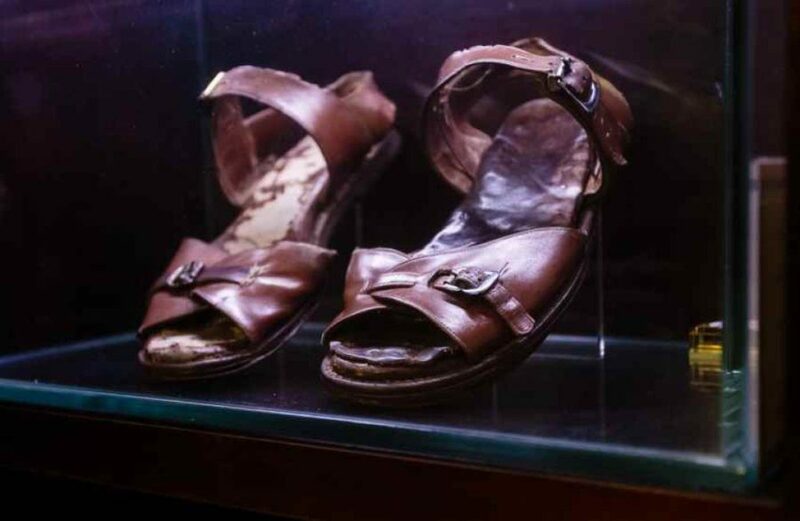 If you really want to see how ordinary people live every day, walk through Dolac in the morning, between 9 am and noon. In the covered market downstairs you will find butchers, fishmongers and kumicas selling traditional dairy mixture called sir i vrhinje (cheese and cream) while outside you can buy some of the freshest fruit and vegetables you’ll taste. 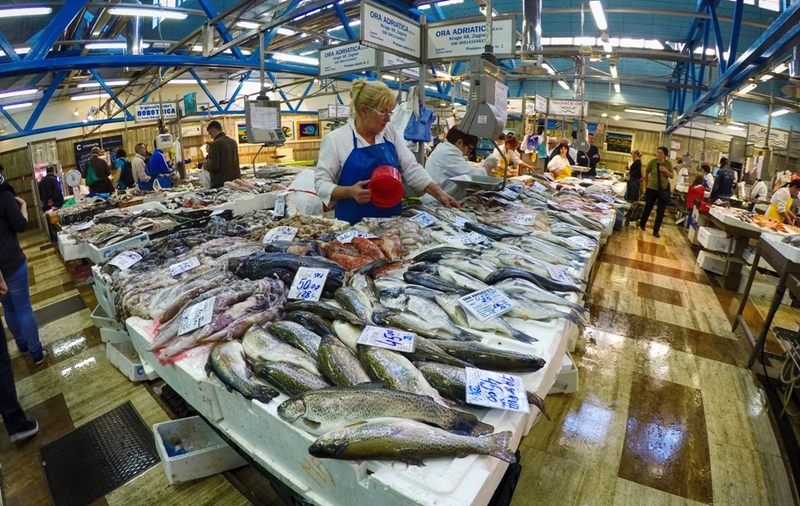 Alongside, the fish market sells fresh seafood every day. 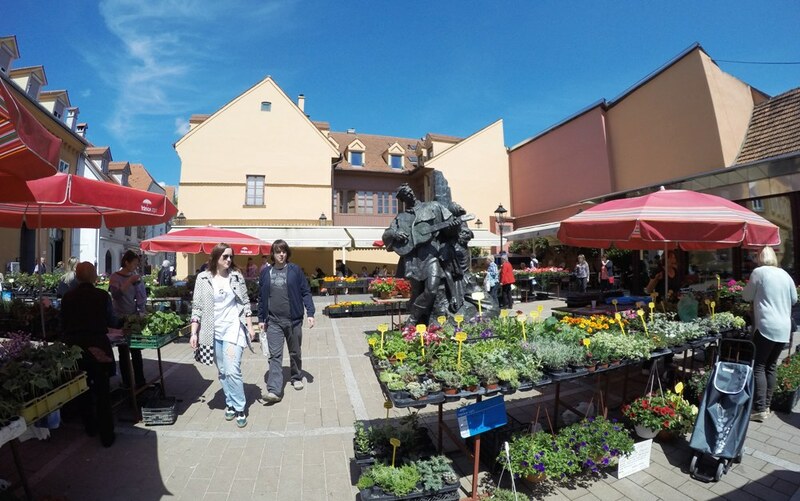 On the north side of the Dolac market is Petrica Kerempuh square where you can buy flowers. The square is interesting sight itself thanks to the statue of Petrica Kerempuh, fictional character mentioned in national poems – kind of intelligent and perky trickster, always in a good mood. Meet this comedian and take a photo of him after buying on Dolac market.